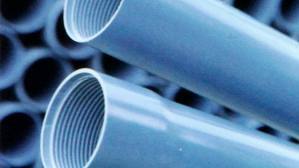 In Egypt, players in the PVC and PE markets report that the local producers are undergoing maintenance although they add that the market does not feel the full effects of these shutdowns, especially in the PVC market, given the persistently slow demand inside the country as per the pricing service of ChemOrbis. In the PVC market, the local producer EPC had rolled over their prices at the end of the previous week and reported at the same time that they shut their plant for maintenance. A source from the producer had commented that they elected to roll over their prices due to the thin demand in the country. Regarding the shutdown, the source explained, “We had to shut all our lines due to an unexpected power failure. It was not just our plant which was affected by the power cut but also the other companies located in our area. Now, we are conducting a maintenance following our shutdown which might take from five days to two weeks.” The producer also highlighted having sufficient stock levels to meet the market’s needs during this shutdown. According to players’ reports, the producer’s shutdown was still going on during this past week.A pipe converter commented that EPC’s rollover decision was logical given the weak market activities. According to him, overall supply levels are greater than the general demand. In the PE market, the local HDPE producer SIDPEC is also conducting maintenance according to market players although the producer has not confirmed this information officially by the time of publishing. Players claim to receive no HDPE film and blow moulding quantities from the producer, who issued EGP200/ton ($29/ton) increases for May for all HDPE products.